Our mobile truck repair service will keep your vehicles on the road and out of the shop. Providing service for light, medium, and heavy duty trucks including semis and tractor trailers. Repair And Maintenance for Heavy Duty Trucks, Diesels, Semis, And Tractor Trailers. We are equipped to handle repairs for all size trucks and equipment. As your Portland and Vancouver truck repair experts, the technicians at Elite OnSite Fleet Services of Portland and Vancouver are equipped with top of the line equipment to ensure your truck is diagnosed and repaired properly and in a timely manner. Elite OnSite Fleet Services of Portland and Vancouver is dedicated to providing the best on site fleet service in the industry. Our goal is to keep your fleet running at the peak of performance and efficiency, thus eliminating costly down times. As a family owned and locally operated business you won't find another service like ours that offers the premium customer service that we provide with every job we perform. Contact us today to schedule your next service or repair! "To provide superior service in every aspect of our customer's vehicles maintenance and repair needs." Michelin has a wide variety of high-performing truck tires that are designed to deliver fuel-efficiency, high-mileage and traction you can trust. We're here to help your fleet improve its bottom line through proper tire selection, proper maintenance and safety tips on how to find the perfect MICHELIN® tire for your needs. Choose from industry-leading wide base single tires (including North America's most fuel-efficient drive tire), retreads, RV tires and more. 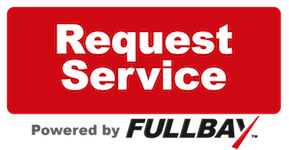 As a family owned and locally operated business you won't find another mobile truck repair service like ours in the area that offers the premium customer service that we provide with every job. We specialize in mobile preventive maintenance and all types of repairs and service for fleet owners. Invoice faster. Attract technicians. Truly satisfy customers. Works On Any Device Connected To The Internet. Use Our Fleet Management App - Track your repairs! Ready to schedule your next truck repair or fleet maintenance service with us? That's great! Give us a call or Request an Appointment and we will get back to you as soon as possible! 2521 N. Hayden Island Dr.